Anyone who knows me, or follows my blog, knows that I sometimes don’t always read things thoroughly before I start (back in the day, I would fly into a city to do a 1st site visit without having the address – this before smartphones and GPS – just pick up a map at the rental car counter “I can find it”… with about 2 exceptions of 150 at that job – it worked!). This was no different. When I read about the 2 June recipes, I transposed the dates. So… I did not get this made in time, and though I had purchased the ingredients, was not worried about not making the dessert when I made said purchase… um. Well, all of the bloggers at Cook the Book Fridays seemed to love this. I saw notes about someone(s) making it several times in a week! Well – could not miss out on that! 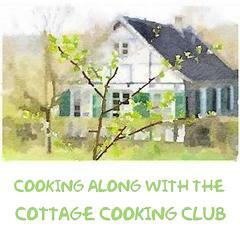 I hosted by book club (GOBC) in Sedona last Sunday. It was incredibly nice of my friends Teri and Kate to come up – their significant others (including kids!) helped them make a day of it. And no – I don’t have pictures – I get sidetracked at events. Anyway, I thought that it would be a perfect time to make the mousse. I had decided on making a grilled soft-taco lunch – steak, shrimp, fresh salsa, guacamole, tortillas, beans… chocolate would be a perfect ending to that! While I was deciding what to make, I had the Food 52 Genius book out. I kept going back to that blueberry pie! Anyway, the mousse is fairly straightforward. As a fun treat, I decided to use my grandmother’s little “ice cream” dishes – perfect for this! The big difference with this recipe is the caramel. I wanted mine to be fairly dark to add some different notes to the mousse. I actually am fine with making caramel. Have I ever taken it a bit to far? Sure. But it’s not that big of a deal. Seriously. You just can’t step away from it. Once the caramel is the color you want, you whisk in the butter, and then the cream. The cream will make the caramel harden, so it takes quite a while to melt – but it will! This mixture gets cooled, the egg yolks added to the chocolate, and then the whipped whites get incorporated (per usual, about 1/3 to loosen the mixture, then the remainder). This actually made a perfect amount to fill 6 of my glass dishes. These get chilled in the refrigerator for at least 8 hours. Do I have beautiful photographs of the mousse as it was served? Um, no. So very typical, I just got sidetracked with my friends. Did we like it? Yes. But seriously, I could only eat about 1/2 at a time (though Mom had no such problems when she had hers!). This is a serious chocolate dessert. The texture is beautiful and I enjoyed the additional flavor of caramel. I’d used gray salt for my salt in the dish, and liked it – I could have added a few grains on top (or maybe some smoked salt). But, remember that blueberry pie? I couldn’t resist. I had some blueberries, and they had loads of them at the market. The photo in the book was just gorgeous (!) and when I read the recipe, it’s very much like a strawberry pie that my grandmother made when I was growing up. The crust is baked, and the filling is added. I didn’t make the incredibly complicated crust from the book – used the butter crust from KAF. The filling is made by cooking a bit of the fruit with a little sugar and water, then adding cornstarch for thickening. While that’s still hot, the remaining fresh blueberries are added, mixed well and the put into the crust. That’s it. Let it cool. Eat it. Be amazed. The filling worked perfectly, and as you can see – the pie holds its shape – makes for a beautiful slice (not that I have pictures of an actual slice, mind you). Truth be told, I served both for my book club. Like my friend Betsy, I’m not the chocoholic in the house, so I really loved the pie. Seriously. But I will say that both desserts were a hit – just oh so different. Given all of the flavors at the gelato spot – I never pick the chocolate. So, I would definitely serve this again (think of all of those gluten-free folks! ), and if I were not worrying about gluten, I think this would be fabulous in mini tart shells – how wonderful on a mini-dessert tray? Or the dessert shot glasses that were so popular a few years ago. The chocolate is such a rich blast of flavor – that would be a super-fun way of serving it. Oh, and I did not include whipped cream on either – though it would be good. Just more. Neither actually needed it. The mousse can be found on p258 of My Paris Kitchen, and you can find out what other bloggers in our group thought of the recipe here. The pie can be found on pp204-207 in Genius Recipes (Food 52). 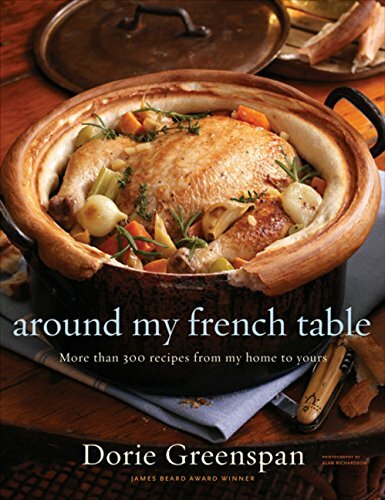 Posted on May 28, 2016 by dulceshomePosted in Baking, Cook the Book Fridays, Desserts, Fruit, UncategorizedTagged blueberry pie, chocolate, chocolate mousse, Genius Recipes, my paris kitchen. pie looks like a winner too. Thanks Nana!! And so nice to “see” you up and around. Either of these would be good “get back into the kitchen” recipes ((especially if you don’t make your own crust!). Yay Nana!! So glad you caught up on this one! I loved the combination of chocolate and caramel. And the blueberry pie looked wonderful, too. Nice, Candy! Say, for the blueberry pie, did you ever make Dorie’s blueberry pie in “Baking”? I ask because that recipe is absolutely amazing and I wonder how the Food52 one compares. We love blueberries in this house and blueberry pie is a v. special treat. 🙂 Glad you liked the mousse and I agree that’s super rich! I ate mine in stages, too. So, this is the deal. I am having a small dinner party next Tuesday evening. I am making the entire meal, from scratch, myself. So, since I have my heart set on pie for dessert I was going to purchase one. I asked a catering friend who makes the best pie in town and she e-mailed me back to bake my own. %$#&@ What to do. Then I read your post. I pulled out the Genius52 cookbook and think I can pull this off. You encouraged me. I also will look at Dorie’s version tonight. Will let you know. I just loved the mousse but it took four go-back-to’s for me to finish it. Very rich. Am impressed that your mom could polish that off in one sitting. Mary, here’s my advice: MAKE THE PIE!!! If you want, Dorie’s sweet (press in) tart crust would be perfect from AMFT if you don’t want to make a regular crust (or buy one). But this is way better than any pie you could pick up. It’s even easier than my grandmas strawberry one because you don’t cut up the fruit. And it’s beautiful! Standalone, I “might” do whipped cream, but that’s not necessary.